News relating to environmental water flows and blue-green algae. Blue-green algae cells are a type of bacteria. It is not unusual for blue-green algae to be present in waterways over summer and early autumn. Blue-green algae are a natural occurrence in freshwater ecosystems. Blooms can occur in response to favourable conditions, which include still or slow-flowing water, abundant sunlight, hot temperatures and sufficient levels of nutrients. Under certain conditions, algal blooms can occur. The presence of a bloom, even a large one, is not automatically an indicator of environmental problems. The breakdown of the algae may reduce oxygen levels and therefore harm animals. Under these circumstances, we consider releasing environmental water to add to the volume of water and maintain reasonable oxygen levels. Can environmental water be used to manage blue-green algae? Environmental water can sometimes be used to manage algae when an outbreak is small and the river system in which it has bloomed is small and isolated. Blue-green algae can contribute to low oxygen levels. Where we know or suspect low oxygen levels may threaten native fish, environmental water could be delivered to try to maintain oxygen. This is what's happening in the Lower Broken Creek and can be an effective option in smaller systems. In the Werribee River, environmental water was used in March 2016 to increase oxygen in the water, support fish and help move a small-scale algae bloom (of Lemna and Azolla) through the river system. Can it help in a large system like the River Murray? When a large algal bloom takes hold, in a moderate-to-large and connected system, such as the River Murray, there is very little that environmental water can do to help eradicate it. 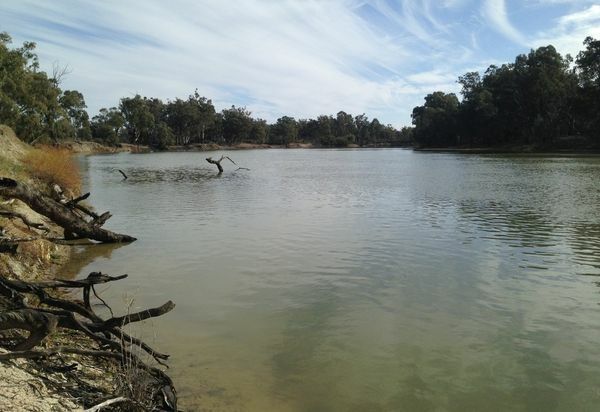 With the current algal bloom outbreak in the River Murray, very little can be done to stop it. The blue-green algal blooms are in the river from Hume to Barham (affecting approximately 680 kilometres of the river), within the Edward-Wakool system, the Lower Darling and within Murray storages in Victoria (on the Loddon system, in Lower Broken Creek and in Nine Mile Creek). The scale of the current events means that the provision of additional flows would be unlikely to significantly affect the blooms. How is environmental water being managed during the outbreak in northern Victoria? Environmental water won't eradicate blue-green algae but it can help to improve conditions for wildlife in the rivers by increasing oxygen. 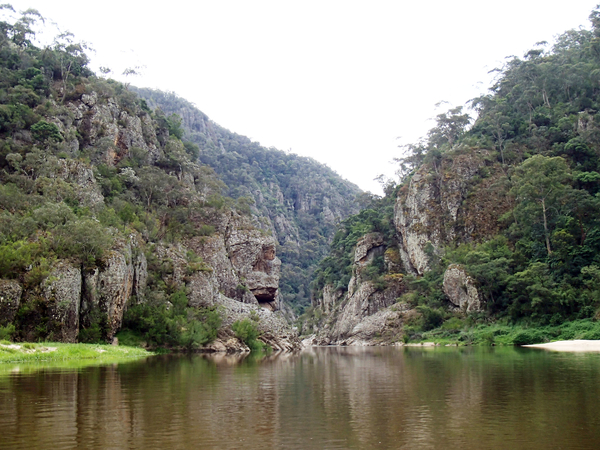 The Victorian Environmental Water Holder is coordinating environmental water deliveries to Lower Broken Creek in Victoria in partnership with the Goulburn Broken Catchment Management Authority, Commonwealth Environmental Water Holder and Goulburn-Murray Water. These deliveries aim to improve oxygen levels. They also help avoid negative environmental impacts of the algae. The watering is being monitored to understand if adjustments are needed. The Commonwealth Environmental Water Holder is investigating whether there are opportunities to use the limited volumes of environmental water available to provide refuge habitat for aquatic species (particularly if the decay of the algal bloom leads to low oxygen levels in the waterways). 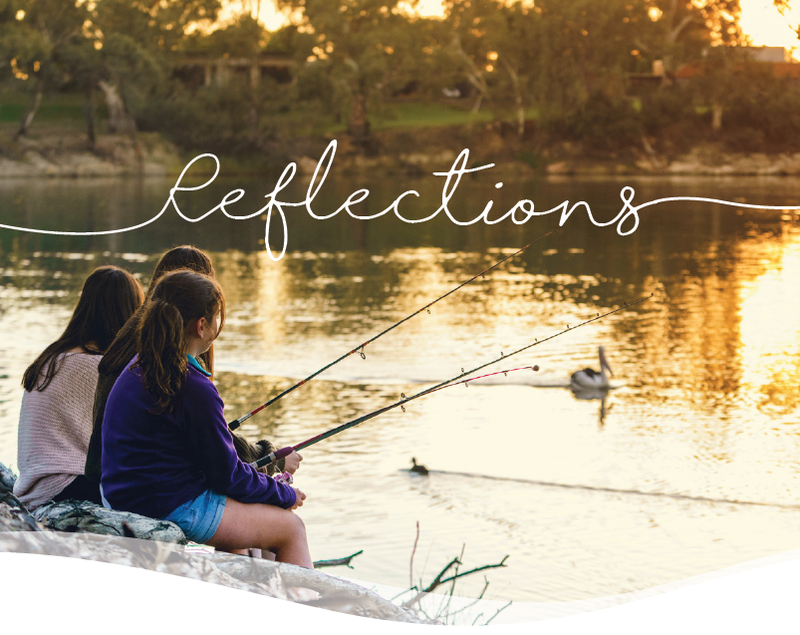 Environmental water for the River Murray is managed by the Murray Darling Basin Authority, the Living Murray and Commonwealth Environmental Water Holder. 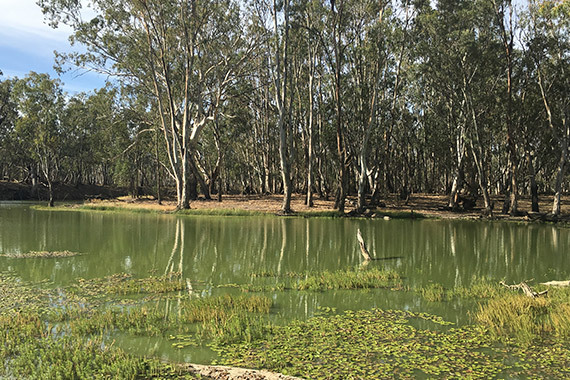 The Victorian Environmental Water Holder doesn't have enough environmental water to make an impact on blue-green algae in a system as large as the River Murray and therefore wouldn't consider releasing water to manage the current outbreak. For more information see the Commonwealth Environmental Water Office.